Heavy ads on websites can slow down your browsing experience significantly. Many ads also demand a lot of data, which can make your mobile data plan run out way too soon. Because we know that big, heavy ads are a problem for many of you, we have gathered some tips on how to block ads, both on your mobile and on your computer. Ad blocker add-ons and apps have been a very popular way to block ads for many years, and the user base is growing continuously. In a study conducted by PageFair/Adobe, the number of people using ad blockers grew by 41% worldwide between 2014 and 2015, with 98% of those users on computers. These add-ons are free, but open for donations. They can be added to Opera, and are also supported by the other major browsers. According to the PageFair study, 419 million users around the world now use an ad blocker on the mobile web. How to block ads on mobile? Apps that block ads for you might be a solution. In Google Play for Android and AppStore for iOS you find both free and paid ad blockers; just search for it inside the store. 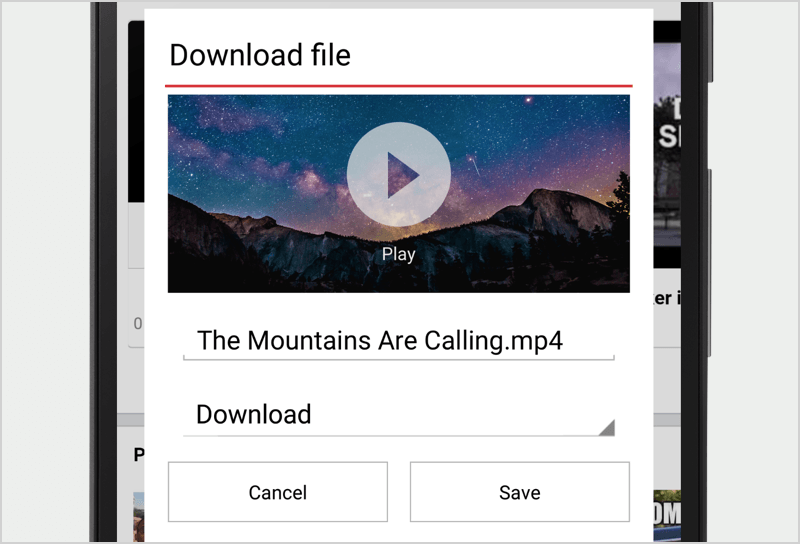 For mobile devices, we recommend trying out Opera VPN, a free VPN app. 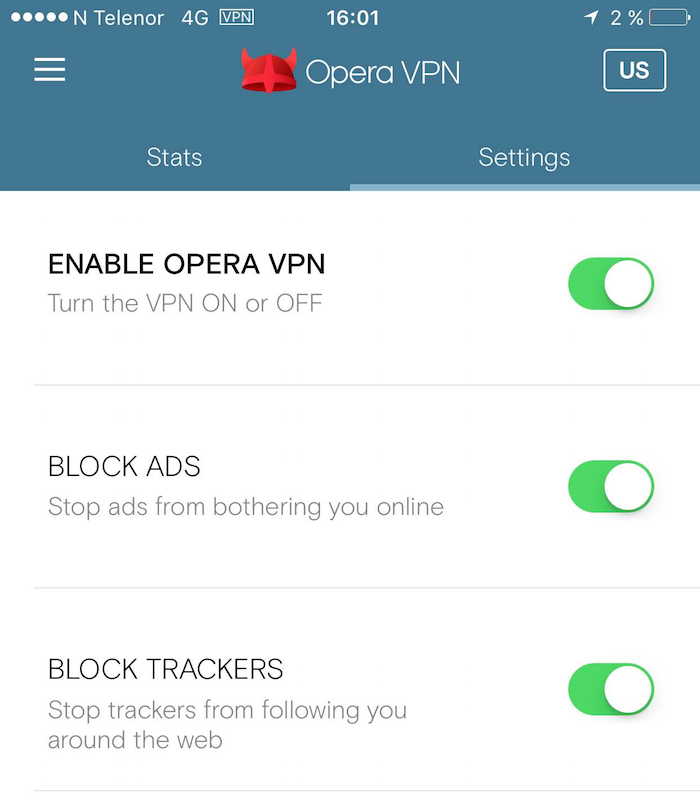 You might not think about a VPN app as a way to block ads, but Opera VPN actually keeps you secure online and blocks ads for you at the same time. Opera VPN is available for both iOs and Android users from Aug 23rd 2016. We know that slow ads are annoying, and the growing popularity of ad blockers speaks a clear message: People don’t want their browsing experience slowed down by heavy ads. That’s why we decided to build an ad blocker into the Opera browser for computers. 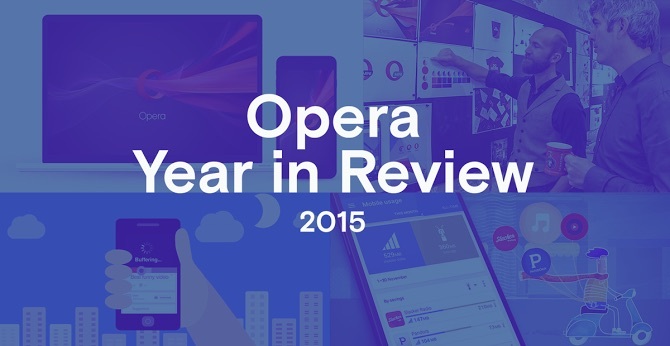 To date, Opera is the only major desktop browser with a built-in ad blocker. 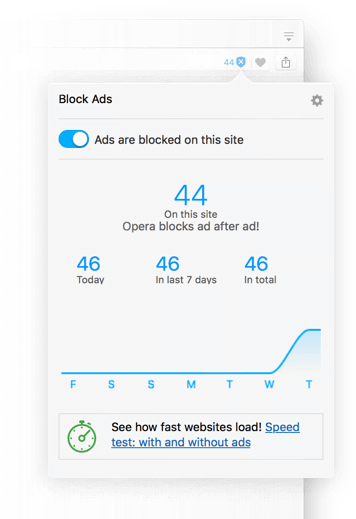 With the ad blocker turned on, Opera for computers speeds up page loading by up to 90%, compared to browsing without ad blocking. It speeds up page loading up to 45% compared to other browsers used with ad-blocking extensions. How do you turn on the built-in ad blocker? 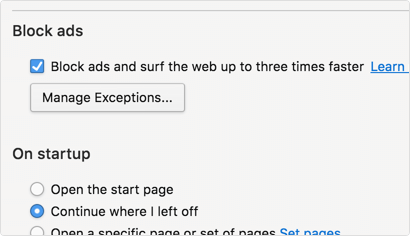 It’s just one click after you download Opera: turn on the ad blocker in the settings and start surfing without ads. You can enjoy an ad-free web on your mobile devices, too. 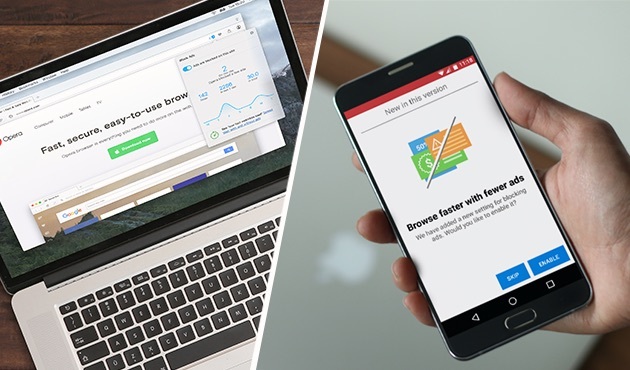 This June, the Opera Mini mobile browser launched a built-in ad blocker for all major platforms – Android, iOS and Windows Phone. According to tests, Chrome mobile browser is 14% slower than Opera Mini with the ad blocker turned on, while AdBlock browser is 79% slower. 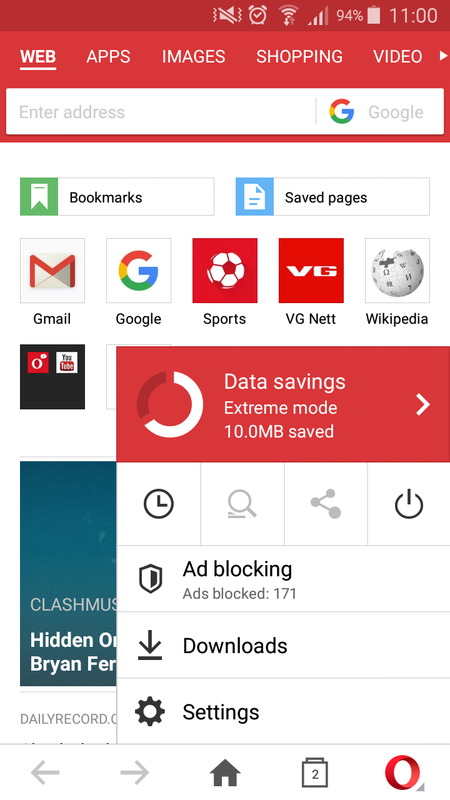 The ad blocker in Opera Mini not only saves your screen space from irrelevant ads and helps to load pages faster, but also saves you data. 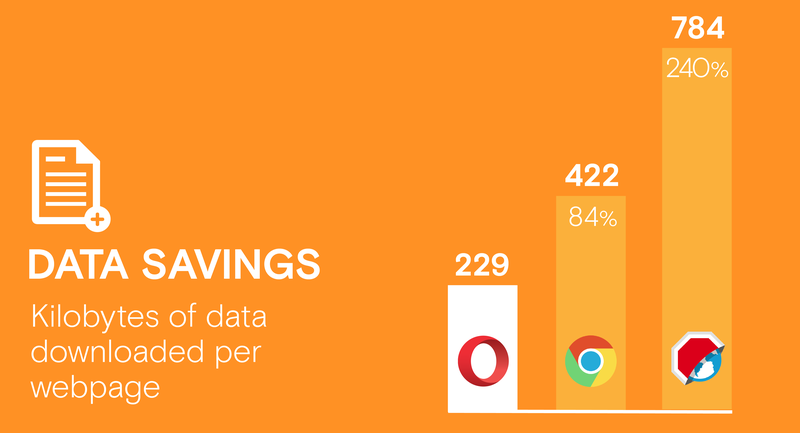 According to the same test, Chrome consumed 84% more data and AdBlock Browser consumed 240% more data than Opera Mini. Hopefully you have now found some usable tips on how to block ads, either through add-ons, apps or built into your computer- or mobile browser. Do you block ads? Please tell us in the comment field which add-ons, browsers or apps you prefer.